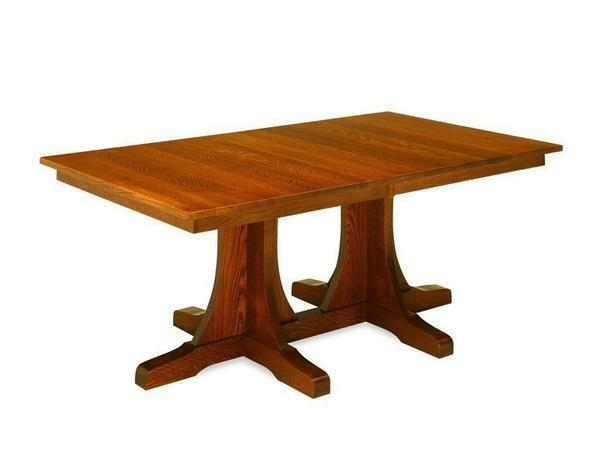 The Amish Double Pedestal Mission Dining Table is a gorgeously designed for both beauty and function. The table top shape can be chosen making it easy to complement various dining spaces and kitchen areas. Pair this stunning dining room table with a set of mission style dining chairs or mix them with a mission dining bench for a complete dining set. Choosing the best dining room table can be difficult. DutchCrafters is here to help every step of the way. Contact us to speak with an experienced, friendly furniture specialist, and begin creating your perfect dining table today!